Apparently, you can trademark adjectives now. Anyone looking to create a new thick soup or stew recipe is going to have to call it "stocky" or "lumpy," because unless you work for the Campbell Soup Company, "chunky" is off the table. In May 2018, The Campbell Soup Company filed an application to the U.S. Patent and Trademark Office (USPTO) to officially trademark the word "chunky". On Christmas Day last year, the USPTO actually approved its request. 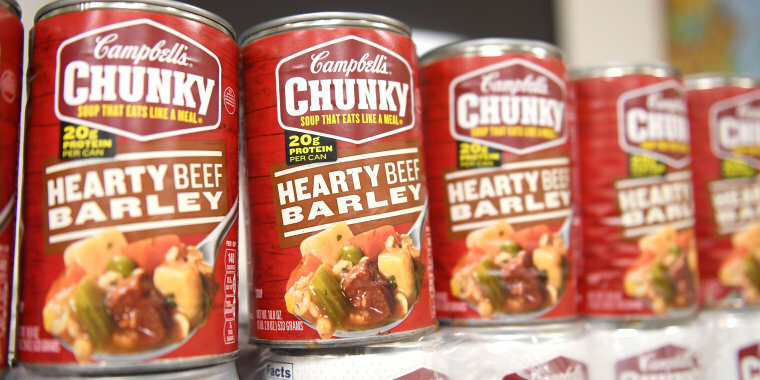 In its application documents, the food brand claimed to have sold $13 billion of Chunky soups since the lineup (which now has 84 variations) launched in 1988 — though Campbell's alleged it first described its soup as "chunky" in 1969. To further prove its ownership rights, the brand showed that it has spent $1 billion on advertising its Chunky soups, which includes Campbell's NFL sponsorship and the iconic "Mama's Boy" commercial that aired in 1997. The commercial, along with other "Chunky" references, have been parodied in pop culture by various media outlets, shows and songs. Campbell's noted the "unsolicited" media coverage of its Chunky soup on programs from "Saturday Night Live" to "The Simpsons" and "Family Guy." In a 2005 episode of "Family Guy," a weatherman character named Ollie Williams — a spoof of TODAY's Al Roker, who already has a doppelgänger — references the soup during a harsh rain storm. Carton anchor Tom Tucker asks Ollie, "Is there anything we can do for you?" Ollie replies, "Bring me soup." "What kind?" the newscaster says. Despite Campbell's official trademark, is it possible that the word "chunky" can really belong to anyone? Merriam-Webster defines "chunky" as "heavy, solid, and thick or bulky" and "filled with chunks." Apple's dictionary even states specifically: "(of food) containing chunks: a chunky soup." 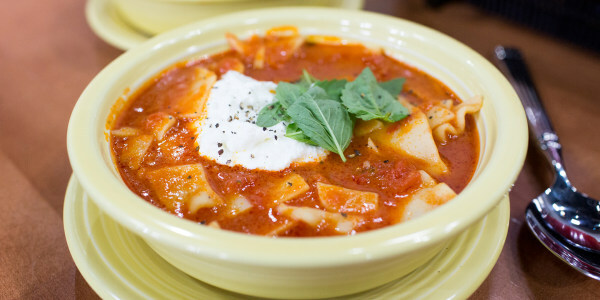 The family-owned organic food company, Amy's, has been making canned soups since 1999, including an "Organic Chunky Vegetable" and an "Organic Chunky Tomato Bisque." But the brand has not announced any plans to change the names of those products. Campbell's biggest competitor, Progresso, uses the word "hearty" to describe its stew-like offerings. Although the USPTO would not comment on how the trademark registration might impact other companies that already use "chunky" to describe its products, a USPTO spokesperson told TODAY Food, "The registration [of the "Chunky" trademark] grants exclusive right to use the mark on, or in connection with the goods/services listed in the registration." So, next time you're cooking up a soup so tasty that it deserves its own label, just remember that you'll have to name it "Lumpy Vegetable."